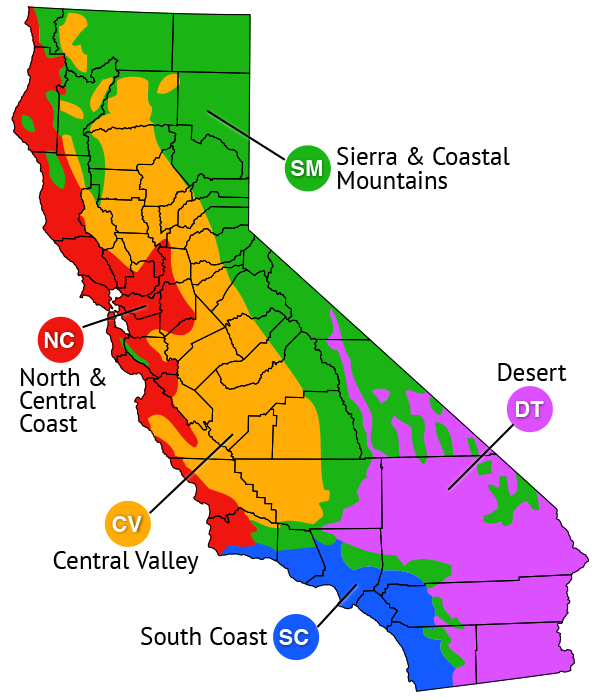 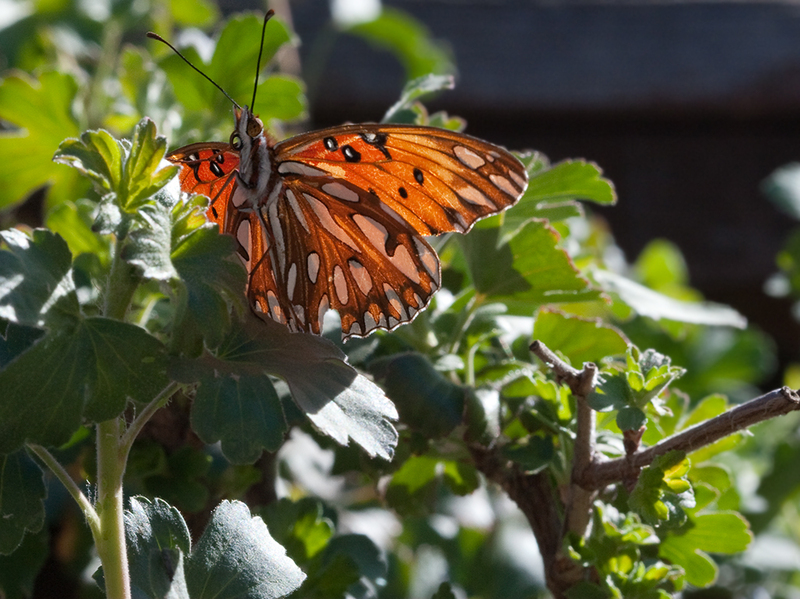 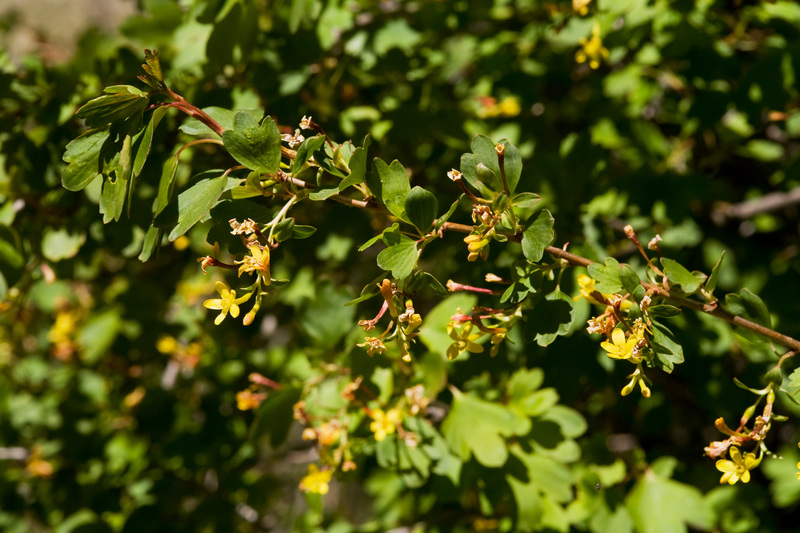 Native to inland regions of the West. 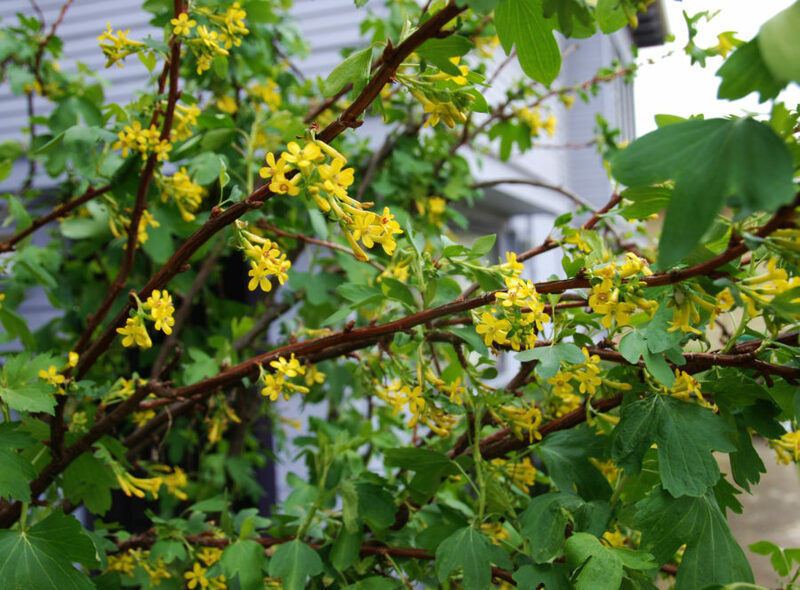 Grows 3-6 ft tall and wide. 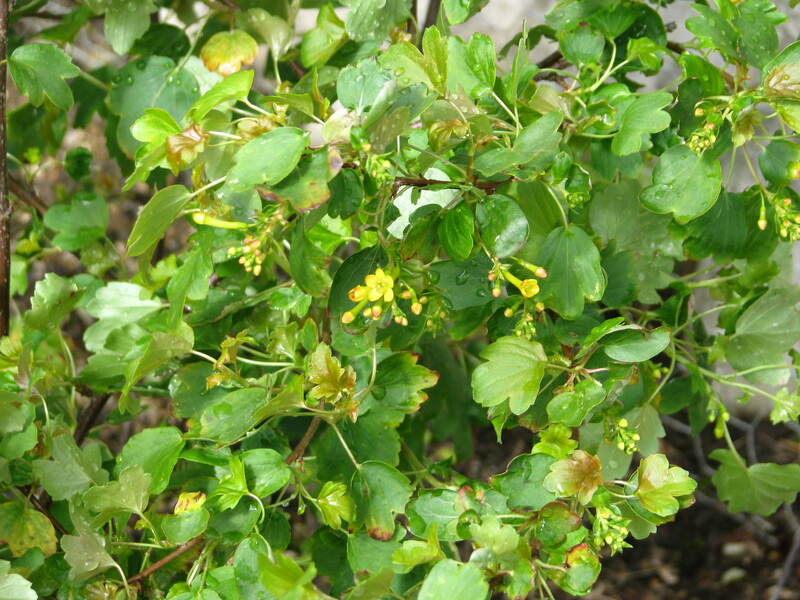 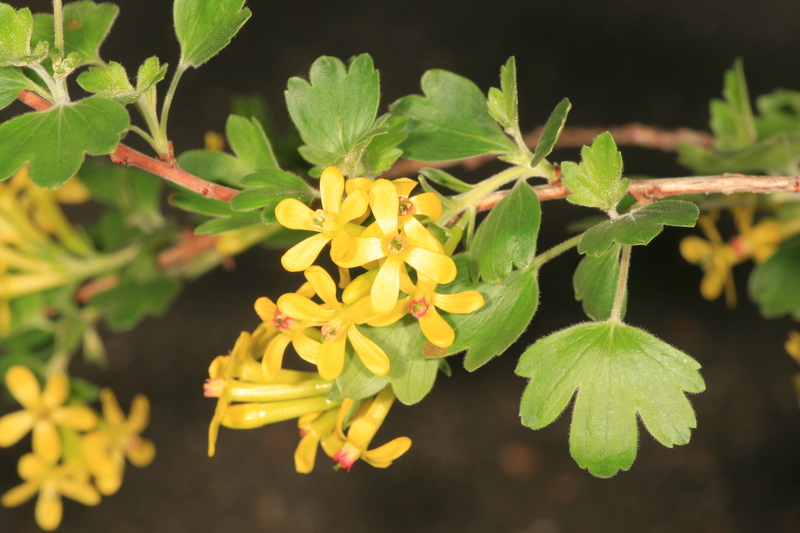 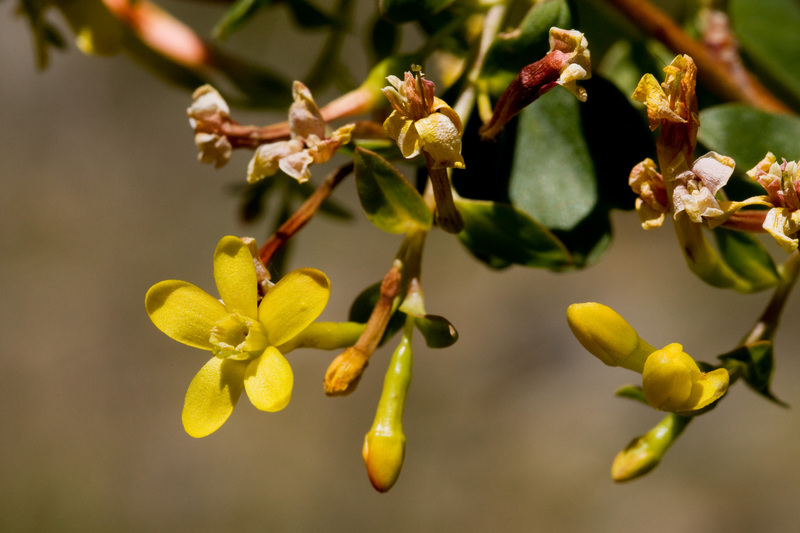 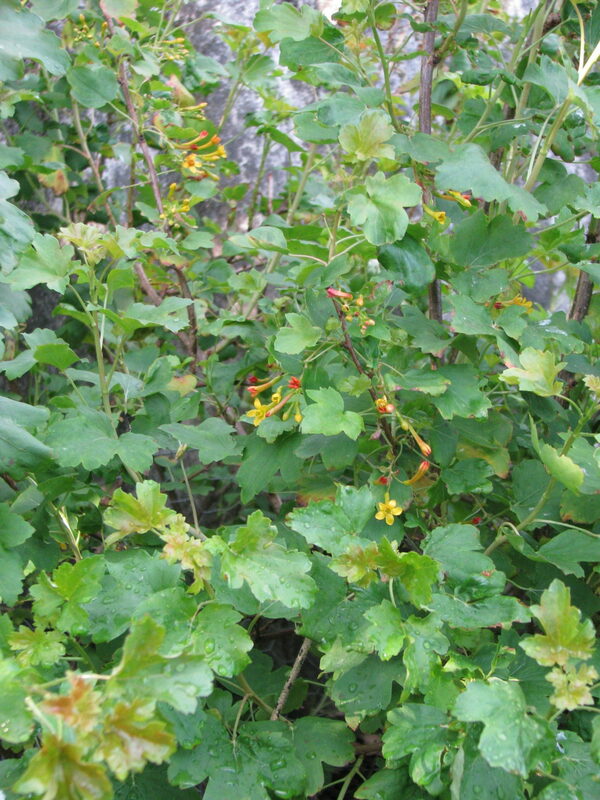 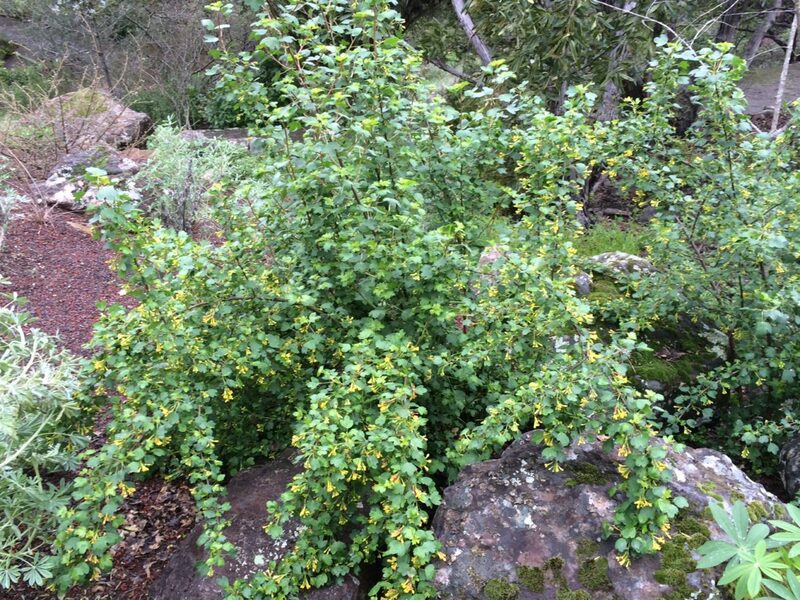 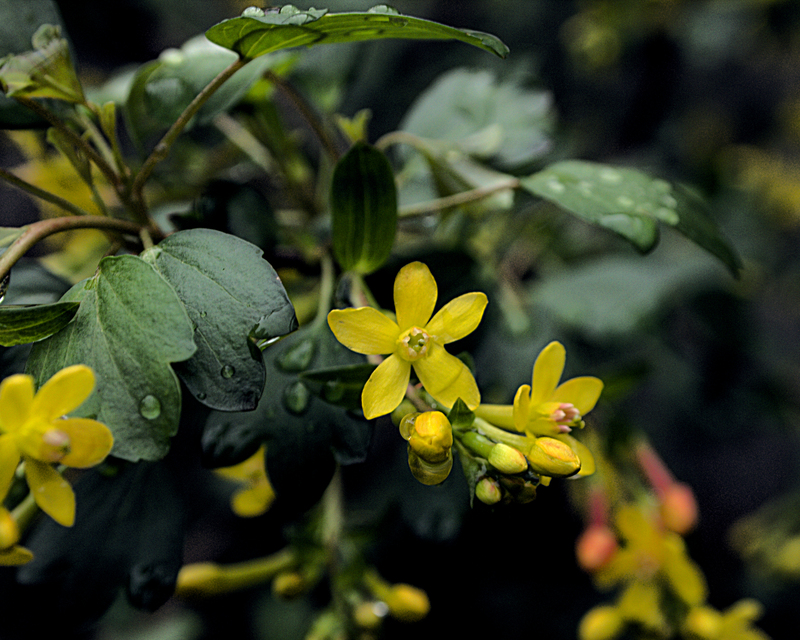 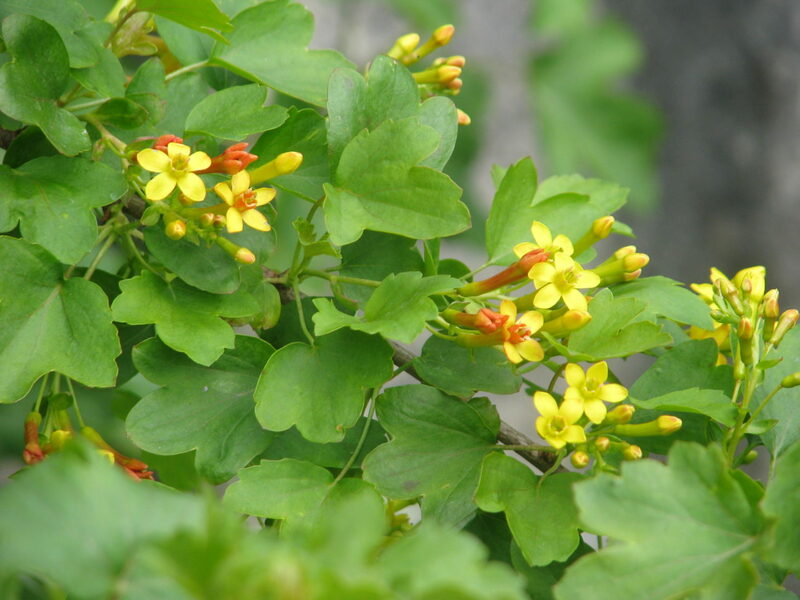 Light green leaves with lobed, toothed edges and small, bright yellow flowers in spring that have a spicy fragrance. 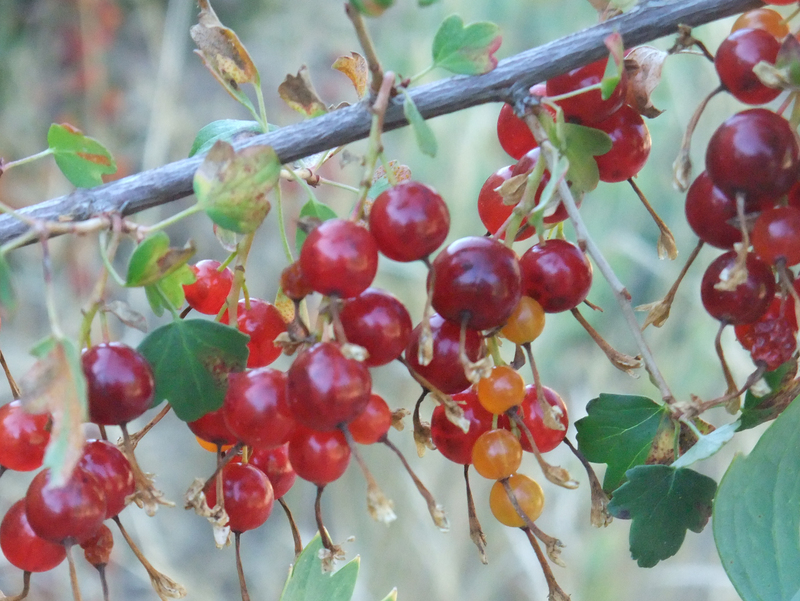 In summer berries turn from yellow to red to black.